List Price: $29.95 New Price! 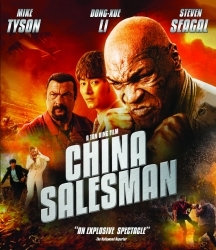 Based on a true story, CHINA SALESMAN takes us on a dangerous and epic adventure to Africa where a Chinese salesman comes face-to-face with a corrupt competitor over a prized telecom deal. Local tribesman KABBAH (Mike Tyson) and mercenary LAUDER (Steven Seagal) take up opposite sides in a brutal hand-to-hand fight while the entire region threatens to explode in a dangerous civil war. Worldwide press coverage including The Hollywood Reporter, Variety, Digital Journal, Screen Anarchy, Global Times, The Australian and more has created amazing awareness! In November 2017, The Hollywood Reporter called China Salesman “the Most ‘AFM’ Film of AFM”! Over 2,200,000 combined trailer and clip views for China Salesman on YouTube! Limited Theatrical Release Scheduled for June 26, 2018. The Hollywood Reporter reports the budget for China Salesman at $20,000,000! A supercharged plot about a humble Chinese cellphone salesman who somehow averts a civil war in Africa, featuring explosions, bazookas, tanks and an eight-minute fight sequence between the action heavyweights. Sold! 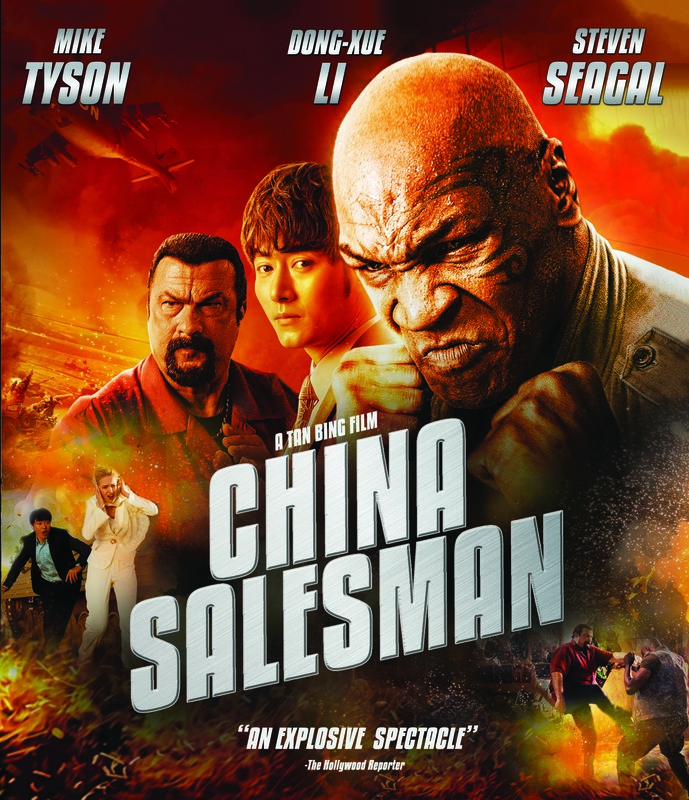 The China Salesman has racked up some 1.5 million YouTube views (not all by THR on Saturday afternoon), showing that there's definitely some appetite for this sort of old-fashioned action romp still out there.